Consumers have a mind-boggling array of foods to choose from at the grocery store. Some foods appeal to families on a tight budget, others are marketed to shoppers with high-end tastes, and others are designed to provide calories in as little time as possible. A large portion of shelf-space targets people who want food that is healthy, nutritious, and wholesome. Such foods are generally easy to spot, because their claims are boldly declared on the front of the package: “Low Fat”, “Low Carb”, “Whole Grain”, “100 Calories”, “Only 90 Calories”, “Enriched”, “Locally Grown”, “All Natural”, “Organic”, and the list goes on. However, only one of those claims is legally defined and verified through independent, third-party certification: organic. The term “organic” has several meanings that depend on context and how savvy consumers are about organic food production. Chemists use “organic” to refer to compounds that contain carbon. In the agricultural industry, it refers to “the quality of resembling an organism—that is, a living system in which a number of parts cooperate to the benefit of all” (“Organic and Locally Grown Foods”). Many consumers have a much narrower view and associate organic food only with improved nutrition, less pesticide residue, or better taste. Others focus less on the qualities of the food and take it up as a moral or environmental cause. Marketers of nonorganic products exploit uncertainty and confusion in the minds of consumers about what organic means, as well as natural. With the exception of meat, which only has modest requirements, “natural” food has no legal definition. “Whole foods”, in theory, should contain more nutrients and fiber than more processed foods. Similarly, “natural” foods should not include synthetic ingredients (McDilda 83). However, since “natural” foods are not regulated, there are no guarantees. It can be irradiated and may include chemical pesticides, genetically modified (GM) crops, fumigants, solvents, toxic processing aids—none of which must be disclosed on a product label (Chen). Despite the obvious shortcomings of the term “natural” compared to “organic”, many consumers do not understand or even accept the differences. In a 2009 report by market research company Mintel, 31% of surveyed respondents said that “100% natural is the most desirable eco-friendly product label claim, compared to 14% who chose 100% organic.” (Vallaeys 10) The report also indicated that roughly 30% of respondents did not know if they could trust either term, “natural” or “organic” (Vallaeys 10). Using such consumer confusion to their advantage, several companies that used to produce a large numbers of organic products have replaced them with “natural” products. Despite the manufacturers’ lower cost of nonorganic goods, retail prices may be higher for “natural” foods than for “organic”. This indicates that these companies are intentionally exploiting customer confusion (Vallaeys 13–20). The media and nonorganic producers were quick to report the results of studies that concluded that “there was simply no notable difference between reportedly healthier organic food and conventionally processed food products”1 and “little evidence of health benefit from eating organic food.”2 Yet, mainstream media largely ignored or downplayed reports that found higher levels of beneficial nutrients in organic compared to nonorganic foods3.At least 11 nutrients4 were found to be higher in organic food, including several important vitamins, minerals, and fatty-acids5. Furthermore, organic sources may contain micronutrients or other components6 for which researchers did not test. Such untested differences also may explain differences in taste between organic and conventional foods that many people perceive. Beyond the disputed claims about nutrition, organically raised food, especially locally sourced organic food, is a sensible alternative to conventionally produced agriculture. Organic food production is an integrative approach that reaches far beyond nutritional benefits, taste, and wholesomeness. Jack Hunter, spokesman for the U.K.-based Soil Association, is quoted as saying, “Organic is all about producing food in a way that doesn’t harm people or the environment.” (Vallaeys). Many consumers familiar with organic production methods purchase organic food to avoid residue from dangerous pesticides, reduce dependency on fertilizers derived from fossil fuels, prevent animal cruelty, and support sustainable farming practices. Presently, conventional farming is able to produce more food than people eat, even though ineffective distribution, politics, and greed keep many people hungry worldwide (Gustafson 202). Instead of being seen primarily as a distribution problem, big agriculture claims that they can fix the problem by increasing crop yields with GM plants and vast technologically advanced farms that rely on heavy fertilization and strong pesticides, herbicides, and fungicides (Gustafson 201–2). So far, the promise of GM has been an empty one. Claims are made that organic farming cannot produce the yields necessary to scale up to feed the world. However, comparing the yield for a particular monoculture crop to the yield of a similar crop from an organic farm is a logical fallacy. The total caloric yield of an organic farm greatly outperforms a conventional farm. Organic crops are rotated seasonally and annually to enrich the soil and manage pests and weeds. As a result, the organic farm produces less of a given crop in a year, but it should produce more food overall from a variety of crops (Barber). When it comes to animals, organic farming ensures that animals eat food that has more diverse nutrients and, unlike grain-based chow, is designed for their digestive system. It keeps dangerous antibiotics and hormones out of the animals, and thereby out of humans. By avoiding needless antibiotics, bacteria do not become resistant, which means that resistant strains do not enter the watersheds, ending up on produce, and then into the guts of people (Aidara-Kane). 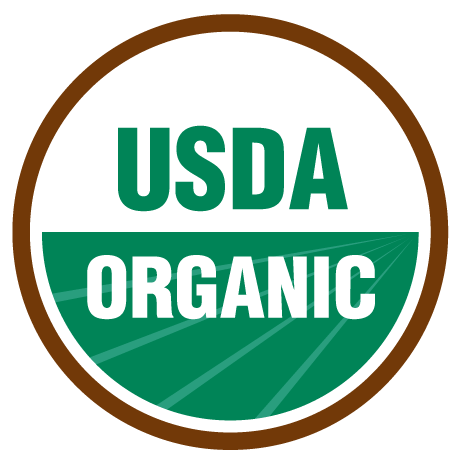 Organic has different meanings for different people, but it is the only term that describes food production that is independently certified to meet strict government standards. The standards ensure that the food is truly as natural and wholesome as any related term might imply. It also ensures that the process of getting food from the farm to the plate is as gentle on the planet as possible, especially when the food is locally sourced also. ˆ Aidara-Kane, Awa, and Peter Collignon. “Antimicrobial resistance in the food chain and the AGISAR initiative.” Journal of Infection and Public Health , 1 Jun. 2013, Volume 6, Issue 3, Pages 162-165. Web. 4 Feb. 2014. ˆ Barber, Dan. “Q&A with Chef Dan Barber: Can organic farming feed the world?” Posted by June Cohen. TED . 17 Mar. 2010. Web. 5 Feb. 2014. ˆa b c d Chen, Katherine J. “Organic Food: An Overview.”: “Is Organic Food Better?” Ronald D. Lankford, Jr. Detroit: Greenhaven Press, 2011 and “At Issue. Rpt. from “How Organic Is Organic Food?”” Earth 911. In Context Series. Opposing Viewpoints in Context . Web . 5 Feb. 2014. ˆ Gold, Mary V. “Organic Production and Organic Food: Information Access Tools.” Alternative Farming Systems Information Center. USDA National Agricultural Library, Jun. 2007. Web. 4 Feb. 2014. ˆa b Gustafson, Katherine. Change Comes to Dinner . New York: St. Martin’s, 2012. Print. 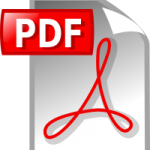 ˆ Mahmoudi M., et al. “Anti-inflammatory and analgesic effects of egg yolk: a comparison between organic and machine made.” Eur Rev Med Pharmacol Sci. 17 Feb. 2013(4):472-6. PMID: 23467945. Web. 5 Feb. 2014. ˆa b “Organic and Locally Grown Foods.” Environmental Science: In Context. Ed. Brenda Wilmoth Lerner and K. Lee Lerner. Vol. 2. Detroit: Gale, 2009. 645-648. In Context Series. Opposing Viewpoints in Context . Web . 5 Feb. 2014. ˆ Schiffman, Richard. “In defense of organic farming: less than a cure-all more than a fad.” Commonweal 140.1 (2013): 10+. In Context Series. Opposing Viewpoints in Context . Web. 5 Feb. 2014. ˆa b c d Vallaeys, Charlotte, et al. Cereal Crimes: How “Natural” Claims Deceive Consumers and Undermine the Organic Label—A Look Down the Cereal and Granola Aisle . Cornucopia, WI: The Cornucopia Institute, Oct. 2011. Web. 6 Feb. 2014. The preceding was the first essay/research paper for my Spring 2014 ENGWR 302 “Critical Writing” course. I would really appreciate any constructive feedback (corrections and other proofreading, general feelings after reading it, specific issues you have with the essay, etc.) you might have about it. Please refrain from arguing the point, however. I have picked a stance on an assigned issue, and I am trying to make an effective argument for that stance. Please critique my attempt to do that well, not the general issue of organic food. Your feedback before mid-May 2014 would be very helpful. Thanks! In the media and in advertising, words are frequently used in ways that are distorted, confusing, or misleading. In this assignment, explore both the “real” and intended meanings of the word “organic”. The idea of the argument is to approach persuasive language with a critical eye. Is the gap between actual and generally perceived meaning intentional? How do these representations affect consumer behavior? Are advertisers or people in the media responsible for misunderstandings, or does the principle of caveat emptor (let the buyer beware) prevail? You should provide examples of your term as it appear in the world at large and discuss the economic, social, and ethical implications that spring from it. Use proper MLA style throughout. What Does “Organic” Really Mean? by Will Murray (Willscrlt) is licensed under a Creative Commons Attribution-ShareAlike 4.0 International License. Thanks for sharing. This guide is very helpful. Our food is slowly killing us and we should be aware of what is good and what is not and how to avoid it.